Reading; like listening to music, watching a movie, amusing yourself with a paint or any other way to enjoy art, is a personal experience, so unique to us, as unique we are as individuals; similar in many ways, but never the exact same. 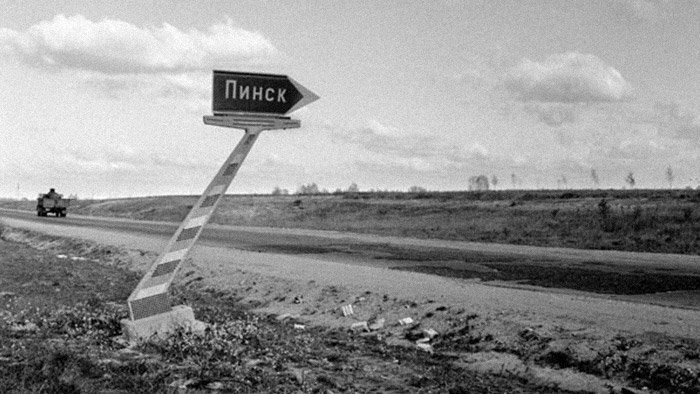 Sign pointing Pinsk. Photo by Ryszard Kapuscinski. We read for all kinds of reasons, to evade ourselves, to enjoy a particular prose, to be thrilled by an intense story, to be cool, to learn something new, to travel to places that we haven’t been, or places that we’ve been, or places that we’ll never be. Out of the different things that we experience while reading, travelling seems one of those universally evoked; and I can relate to that. Reading to me, it’s not like traveling, it is traveling, it is actually better than traveling. There are places that you can only visit and experience through Literature, even those places around the corner; and once you’ve been there, life is not the same any more. 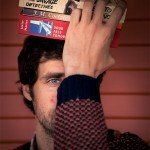 I read different things through the year: essays, chronicles, fiction in all its different ways, etc. Sometimes my choices are erratic, sometimes are very well planned; depending on the book and the time I can spare to read it -I already wasted too many great books for not having dedicated the right time to them. Being eclectic means that you come across all types of experiences, great books, miserable books, enlightening books, boring books, lecturing books, annoying books, you could go on forever, there are more books written than people living in Russia; but every now and then, you come across a book that takes you exactly where you wanted to be, even when you had no idea about it. This doesn’t necessarily happen with the best prose, or the most acclaimed work; mainly because it also depends on your own mood, on your particular feelings at the time. 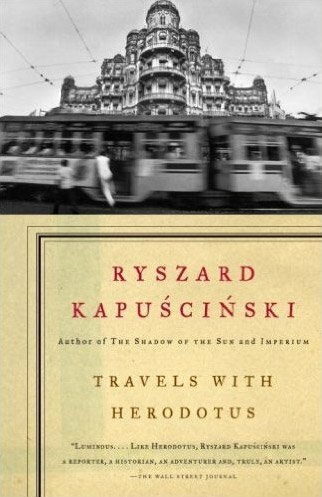 This wonderful experience occurred to me a few weeks ago, reading Ryszard Kapuscisnki’s Travels with Herodotus (Knopf, 2008). I was already familiar with the author, so I thought I knew what to expect, I just wasn’t prepared to be so transported by the story. Lucky me, it did. Kapuscinski doesn’t write pretentious books, they are not even fiction, are mostly traveling chronicles, accessible and with a very personal angle. He is one of those individuals that you would die to meet in person; when reading his prose, you instantly get captivated by his personality and how he sees and describes the world around. He had to be an extraordinary dude; it can’t be any other way after what he says and how he says it. Unfortunately, he left us almost 10 years ago now; fortunately, we still have his stories. Travels with Herodotus, as most of Kapuscinski’s books, seems on the surface like a travel and History chronicle, but it is a lot more than that, it’s a story about our world, our society, about us individuals, about Literature and what it means to us, and about all the things that we can learn from our past and our books. If I look back, most of my favorite books deal with personal/interior feelings, the dirty side of realism: caustic relations, rejections, loneliness, diluted lives, society misfits… but there are some exceptions. Kapuscinski’s books are all part of those exceptions. We read for all kind of reasons, one of my reasons is because people like Ryszard Kapuscisnki write books. What are yours? Javier García del Moral is a civil engineer, avid reader and dive bars diver. The kind of person who always knows how a moment should sound like. He’s co-founder of The Wild Detectives along with Paco Vique. Would you like to be featured like Javier here?